What about the new album "Hollyweird". It sounds like old-school Poison, very commercial sounding, nothing like the music of today. Was that the idea or did it come out naturally? -I don't know how to take commercial. To me it's just hard rock. At this day and age this is just the way we write, the style of music we make. I don't think the style of music we make is commercial then or now. Then it just hit. We just play music that makes us happy and hopefully the fans that wanna hear it will wanna go out and buy it. I don't think there's any big outlet for hard rock at this point. We've sort of become the real alternative (laughs). What about your new label Cyanide Music. How did it come about? Does it give you more creative, financial control or a little of both? What happened with Portrait Records? -If you look back we've always had Cyanide on all of our albums and have been our own label through all nine albums. Our deal with Capitol was a major distribution deal because our first record was on Enigma and when it hit big Capitol came in and made a nice offer. We've always written our own music and owned our publishing. Owning all your own stuff is inevitably the way to go. That way you keep creativity, you keep everything in-house. When our contract with Capitol ran out we could go to any label and Portrait and the other labels never made a nice enough distribution deal for us not to do it ourselves. In other words, we could do the same thing and keep the creativity and money, keep everything. Fans that like our music are going to go out and buy our music anyway. The album will be in every store whether it is a small record store or a Best Buy. How are things going with C.C so far? -So far absolutely great. Like I said it's a roll of the dice with C.C. this year. Everyone knows he's not all there which is what makes him great. He is completely out there. People used to think he can't be like that all the time but there's no off switch. He's either sleeping or he's on, there's no in-between. It's been going great so far. Do you think the break-up that Poison had with C.C. has made the band a stronger unit now than the band was in say 1987 or 88? -I think we are stronger now. When you're first getting into music we were a garage band. I had no rock n roll book of 'how to' when things started to happen. You cut your own path. I think then was awesome even when we were fighting. Now I think we're starting to hit a stride where you really learn to appreciate each other, and that's where I am at in my life. I love these guys and would do anything for them. But I'm really starting to understand them. What do you think about those who state Poison are mostly a live band rather than a quality act that can write more than a hit song? -That's a tough question to answer. I never set out to please everybody. I only wrote the things I wanted to write. There are not many bands that can run around as much as we do and still keep playing the songs. That takes a talent in itself. There's no way to please everybody so you just have to go out there and enjoy what you do. The fans will come out to see you because you do what you do. 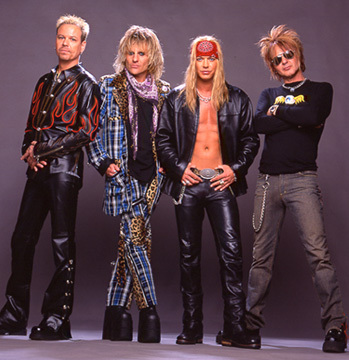 How do you explain the fact that Poison is still around while so many other 80's hard rock bands have not been able to achieve the success you have had? -I would say this. No band and I really mean this, go out on stage and perform with the energy but then come off stage and always have been good to our fans. The fans come backstage and we treat them great. We try our best to really treat our fans great. Fans know when they come to see Poison they see an absolutely great show on stage. We come out and have a great time. -Absolutely great. Luckily we had a night off and what I should have done was relax but instead the guys from Jerry Cantrell and Nickelback called over and were playing at the same place we're playing and went down to see them. It was really a good show. The tour has been awesome, as far as production, as I've stated before, this is the biggest show we've ever taken on the road as far as the pyro, moving lights and everything. Tell us about your way of facing diabetes on and off tour. -It eats me up sometimes. I've had it for 33 years and I take four injections a day and check my blood sugar six times a day, regulate it a little more. Sometimes it goes great and sometimes you get little glitches in there. It's an everyday battle but I try to think positive and make the best of it. What will affect it the most is eating badly. I'll always try to exercise, which really helps a lot. I try to cut back on the partying. We still throw a big backstage party so it's tough. You look around and everybody is having a great time. What's going on with your solo career. I see you released on Portrait Records. Will there be more? -I wanna call it a solo record. I was writing songs that fit in with "A Letter From Death Row". I felt really good about it. I also wrote all the score. It was really a great experience for me and have done three movies since. End of October I'll have my first true solo record that's just music called "Songs of Life". People can go to www.Bretmichaels.com and hear some of it. What's up with your production company that you formed with actor Charlie Sheen. Any movies coming out soon? -It's great. It's just individual projects. When we did the first three movies you had to have a full-on staff. But as we went out there on tour we just broke it down to a few people in the office. The next film we're gonna do is "The Forgotten". How has the acting been going? I know you are interested in pursueing an acting career. -I've been fortunate to do some. I get a call for offers to do shows. I just do that for fun and I enjoy it. I like to write the script and act. I wanna make a little indie film, "The sleeper". Finally, what're Poison's next plans? -Get through this summer and have a great tour. The plan after that for me is a solo record and working that till next summer. 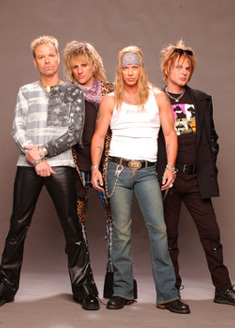 What I would like would be to see Poison on the road next year getting the "Hollyweird" album a full year cycle. Then when we're done with that shoot the movie The Forgotten and then probably take a year or two off the road. Then come back with a great new album and take it out on the road again.